We have a global event calendar! I've just finished putting together version 1 of our global events calendar and I really hope developers out there find it useful! 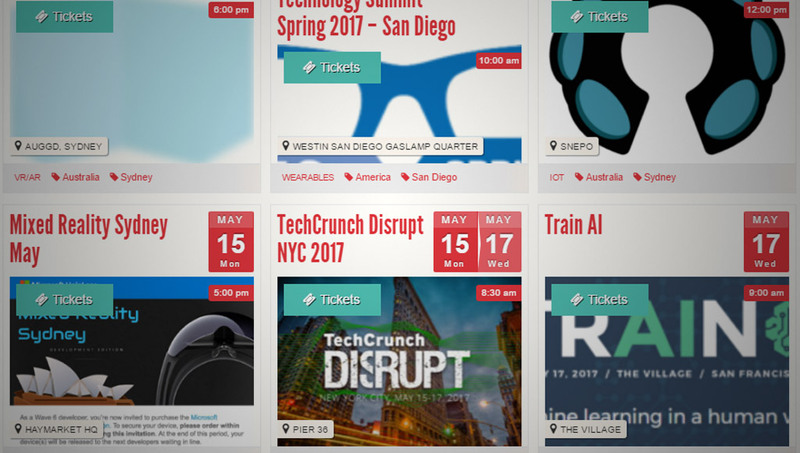 It'll have links to meetups, conferences and hackathons happening around the world about virtual reality, augmented reality, the Internet of Things, wearables, artificial intelligence and robotics. 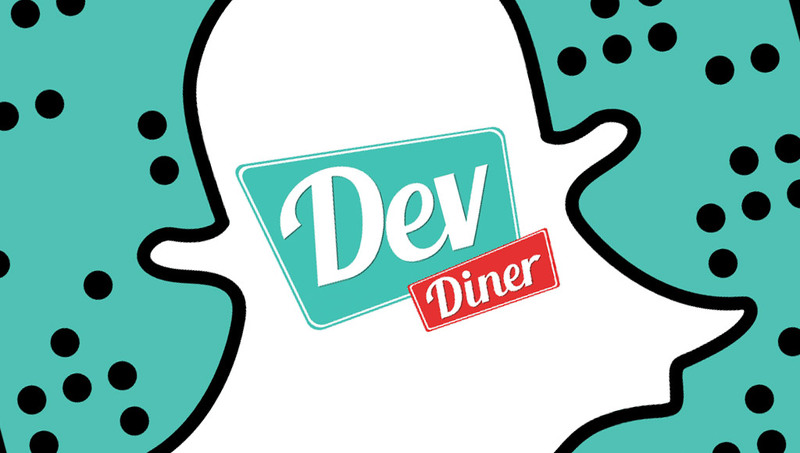 Dev Diner is on Snapchat! For those with keen observation skills, you'll notice a Snapcode has appeared on the right hand side of the Dev Diner site! I'll be posting behind the scenes video of me playing around with new technology, building demos and attending tech events — to see all that and more, follow devdiner on Snapchat. Welcome! If you are reading this, you are one of the first people to stumble across Dev Diner, a new home for curated content on emerging tech for developers! Technology is advancing like crazy. Developers who are keen to build and experiment with new technology have a lot to keep up with! There are new devices, new APIs, new calls for developer proposals, new developer previews, new platforms, new security and privacy concerns, new inspiring creations from other developers and so much more every week. Dev Diner will be providing opinion pieces, guides and interviews on the latest tech, along with a weekly newsletter and blog post with links from around the web to summarise the week’s events. I'm really pleased that for the launch of the site we've got interviews with Rob Manson from BuildAR, Stacey Higginbotham from the IoT Podcast and Thomas Sarlandie from Pebble. I've also got an in depth opinion piece on the future of facial recognition. A nice round up of initial articles! 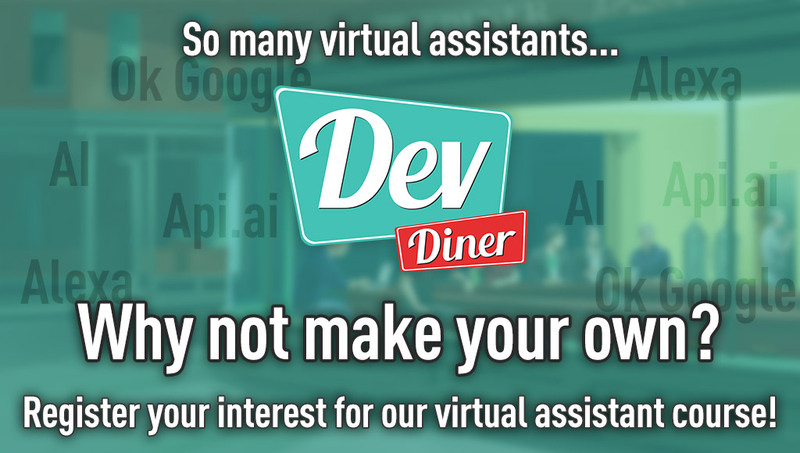 I'd like Dev Diner to be a community effort, so if you are a developer with a strong opinion on a topic in emerging tech who like to write an opinion piece - get in touch! If you've got a bunch of useful links you've collected while developing for a certain platform that you'd like to share - you should get in touch too! Got a cool finished project to share? Get in touch and I might include it in an upcoming newsletter. Basically, feel free to get in touch with me about anything that might benefit the developer community! This is version 1.0. It's very likely things will evolve over time and there'll be bugs. Feel free to send me feedback on how the site works for you and any other thoughts you've got about this whole idea. I'd love to hear them. Why is it styled like a 50's diner? Diners are cool.